The annual ValleyFest celebration at Lebanon Valley College will be on Friday, April 26, and Sunday, April 28. This annual celebration, which first started in 1971 as the Spring Arts Festival, brings together the LVC community and fills the campus with art and cultural exhibits. Games, inflatables, artisan food vendors, activities for children and groups from the community will all be a part of the celebration. 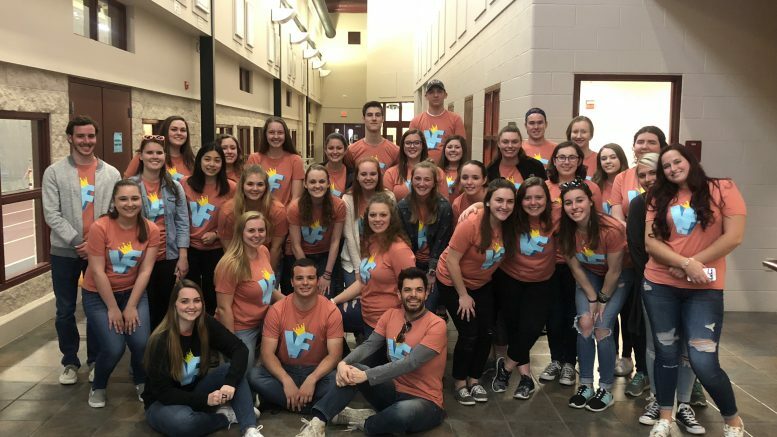 ValleyFest will officially kick off with a concert on Friday, April 26, at 8 p.m. in the Heilman Center arena, located in the Edward H. Arnold Sports Center. The doors will open at 7 p.m.
Tickets for the concert are free for LVC students with an ID. Community members can purchase tickets at the door for $5 and children 12 and under will be free. “This is an event that students and the community look forward to every year,” Erika Gregory, a senior exercise science major and President of ValleyFest, said. The 2017 VALE Records artist of the year, Sam Machin, opens at 8 p.m. and then immediately after, Foxglove, the VALE artists of 2019, will perform. Go Go Gadget is this year’s main performing act and will take the stage at 9 p.m. The ValleyFest festival will be on Sunday, April 28, from 11 a.m. to 5 p.m. and will be located on East Sheridan Ave, the LVC social quad and behind the Shroyer Health Center. Many food and craft vendors will attend this year, and there will be activities for children and inflatables for all ages. Some of the food and craft vendors will include: Soul Burrito, Perk Up Truck, Smith Homestead, Uncle Paul’s Pretzels, Philly Hoagie Company, Shorty’s Funnel Cakes, Penny’s Ice Cream, Kona Ice, My Pops Place, Bricker’s French Fries, 717 Tacos, Mad Dash and Makin’ Whoopie Pies, Jody’s Jewelry, Moses Family Jerky, Lularoe, SeaGlass Jewelry, Fresh Prints Lancaster and Jayne’s Paintings. “We are excited to have The Hershey Vineyards and Brewery in attendance at this year’s ValleyFest serving beer and wine,” Lindsey Zulkosky, a junior physical therapy major, said. The Hershey Vineyards and Brewery will attend this year for the first time and will be on the Allan W. Mund College Center patio from 11 a.m. to 2 p.m. They will serve beer and wine to students and visitors 21 and older. For more information or questions about ValleyFest, email Erika Gregory at eg007@lvc.edu or follow @LVCValleyFest on Twitter.